Allan MacDonald Laing (1887-1970) was a prolific competitor, who seems to have been entering competitions since the early 1920s. This is a fact gathered by George Simmers, who has been researching Laing, and whose account of research in Bradford is here. Thanks also to George for permission to use the photo. He was born in Dundee, the son of an upholsterer, but the family moved shortly afterwards to Liverpool, where he married Florence Hinings, the daughter of a Pudsey draper, in 1922. (He married for a second time in 1958, to Jean Holden; I assume that his first wife, who was born in Stanningley, near Leeds, in 1889, died, but I can’t find an appropriate record. I know that she worked as a telegraphist and later as a clerical assistant in the Post Office in Leeds.) He was an insurance clerk before World War I, during which he was a conscientious objector, and imprisoned. He produced a collection of poetry about this (Carols of a Convict) in 1918. Laing doesn’t win in the Week-end Review until late in 1933, and is a relatively slow starter in New Statesman. But in no time he is setting competitions for the NS, and being commended by V.S.Pritchett as a legendary competitor. This suggests he may be one of the names hidden behind one of the WR pseudonyms, although he uses his own name often enough. It may be that his wins in other periodicals like Time and Tide encouraged a view of him as prolific. Certainly, in the 1940s and 1950s, long after Pritchett makes his comment, he is prolific. He certainly used the pseudonym ‘Towanbucket’. Laing had a collection of parodies, mainly successful entries to a variety of magazine competitions, but including some that didn’t win, Bank Holiday on Parnassus, published in 1941 by Allen and Unwin. (Pritchett wrote a foreword to this, in which he says he’s never met Laing.) He also wrote a spoof introduction to the first collection of New Statesman Competitions in 1946 (ed. George Stonier), to the effect that he had won most of the competition victories single-handedly. 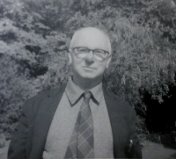 And he also edited or compiled a number of books, such as Prayers and Graces: a little book of extraordinary piety (1944 – a further book in this vein followed in 1957), which was illustrated by Mervyn Peake; The Sleep Book: an anthology for the pillow (1948) and Laughter and applause: anecdotes for speakers (1953). In the 1950s, he was highly regarded enough to set a Spectator competition (no. 359) – the Spectator has had more than one series of competitions.